The best swimming in town. Open daily 9 a.m. - 9 p. m. Located in Hot Springs State Park. 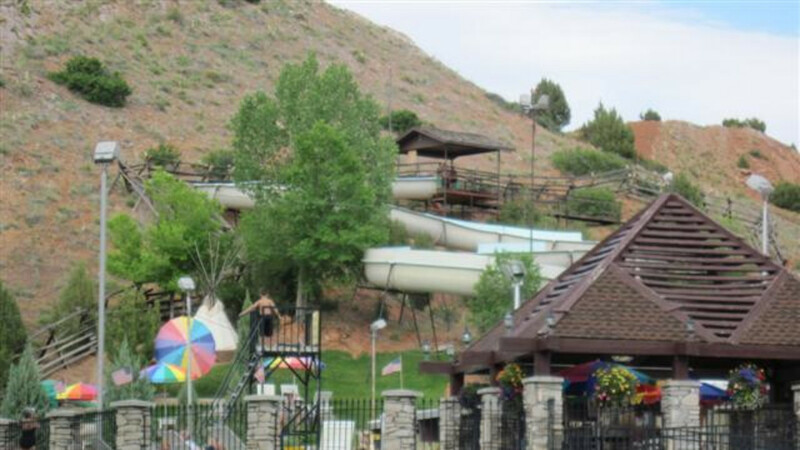 Indoor and outdoor swimming pools, indoor and outdoor hot tubs, vapor cave, three Jacuzzis, three giant slides and mineral pools, inside and outside. Other activities include basketball court, weight room and tanning beds. Gift shop. Snack bar. ATM available. Call and arrange a recreational adventure.